Growing up in Northern Ireland in the 1980s, local sports stars on the world stage were relatively limited in number, but among the small band that there were, there were three who were among the greatest in their sports not just among their contemporaries, but in the recent history of the sport. 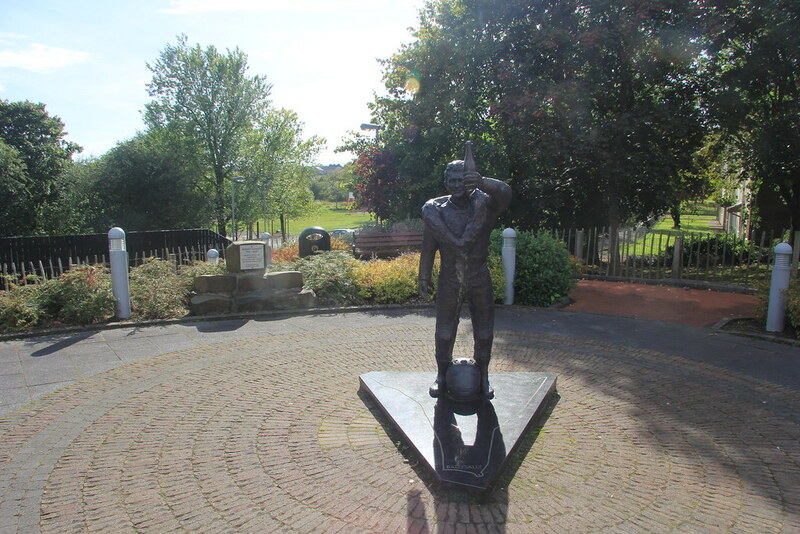 They were football’s George Best, snooker’s Alex Higgins, and motorbike racing’s Joey Dunlop. 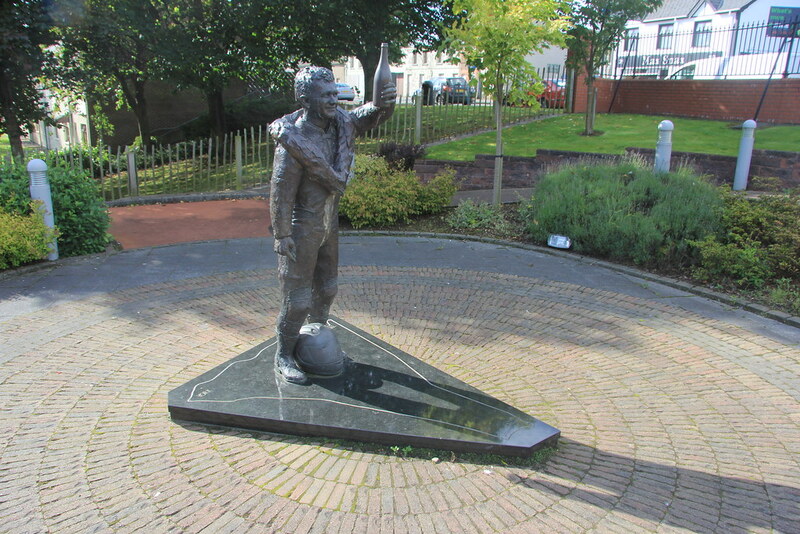 Not only was Joey Dunlop, the “King of the Roads”, world class, so was his brother Robert. 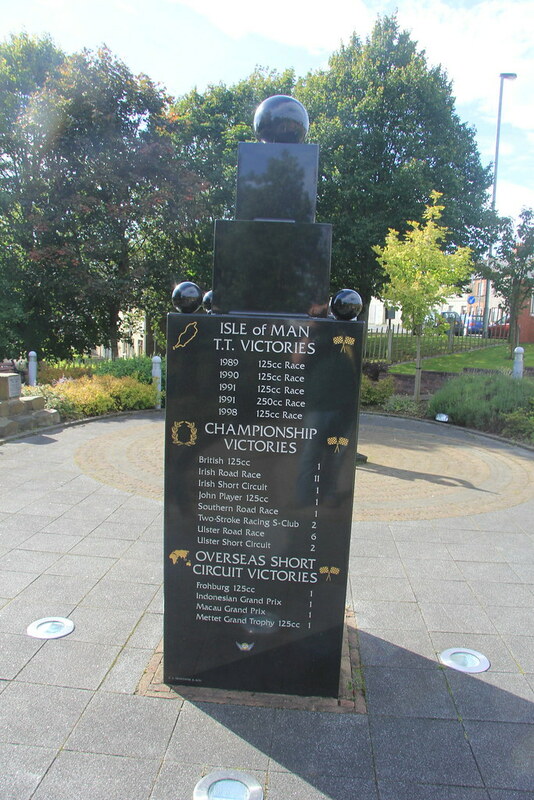 They came from the village of Armoy, and were not the only great racers to come from there. Joey Dunlop, alongside Mervyn Robinson, Frank Kennedy and Joey’s brother Jim were known as the Armoy Armada. The Armada existed from 1977 until 1979, when Kennedy, or Big Frank as he was known, lost his life at the North West 200. 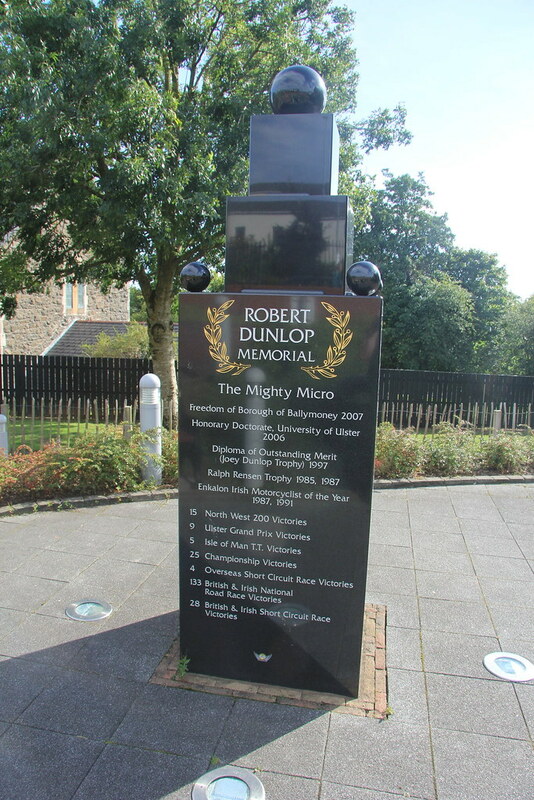 The following year, the North West 200 claimed the life of another member of the Armada, Mervyn Robinson, or Robo. Meanwhile, Joey’s other brother, Robert, had taken up racing, entering the 1980 Cookstown 100. Over the next twenty years, Joey and Robert had remarkable records in road racing. In his career, Joey took 26 TT wins, 24 Ulster Grand Prix wins, and 13 North West 200 victories. He won five of the fourteen Formula I TT championships that ran between 1977 and 1990. 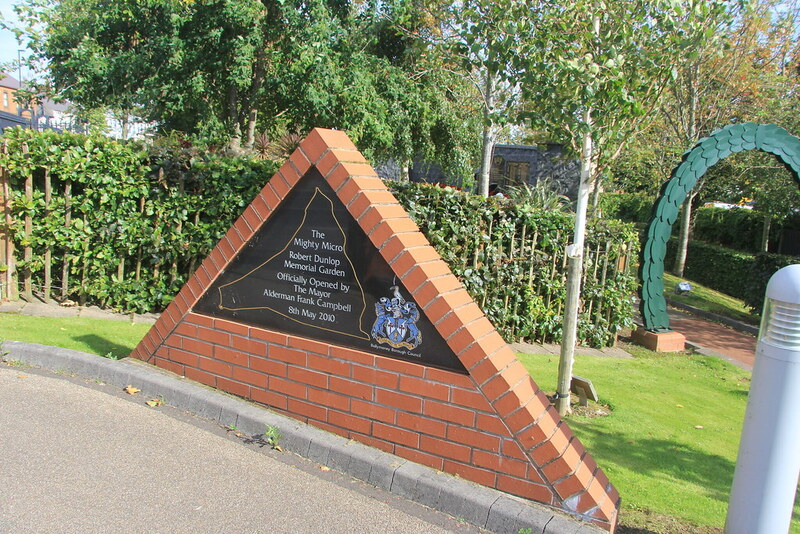 As well as his incredible racing record, Joey Dunlop spent much of his time dedicated to charity work, particularly in Romanian orphanages, and it was for that he was awarded an OBE. He lost his life in a race in Tallinn, Estonia in July 2000. His funeral was broadcast live on Northern Ireland television, and 50000 mourners turned up to pay their respects. Joey was much loved across the world, and particularly in Northern Ireland where he was a true sporting hero and an inspiration to many. His brother Robert continued to race, despite having suffered major injuries in a crash in 1994. He ended up with permanent damage including a shortened leg, but in 1996, although not fully fit, he returned to racing. His record resulted in five TT wins, and a win in the Macau Grand Prix, as well as plenty of wins in other races. Sadly, he was also killed whilst racing, during a session at the North West 200, where a crash at Mather’s Cross saw him catapulted from the bike. His son, Michael, went on to win the race. 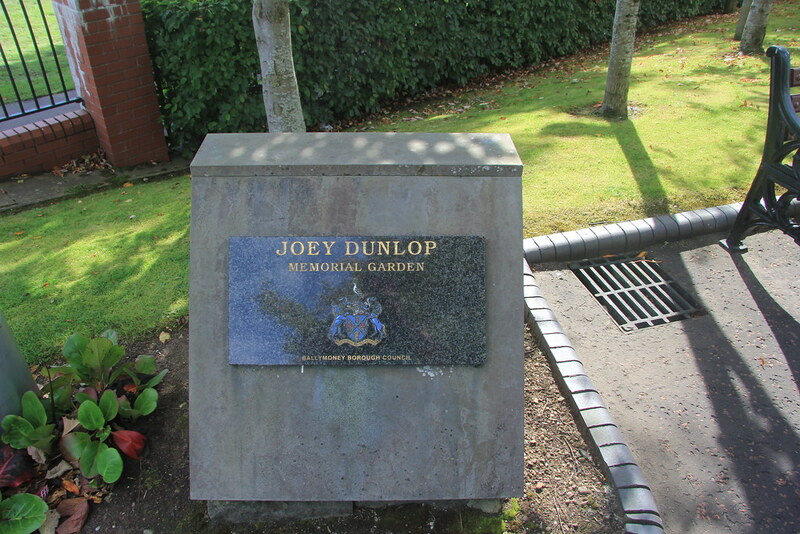 Robert was buried next to Joey. 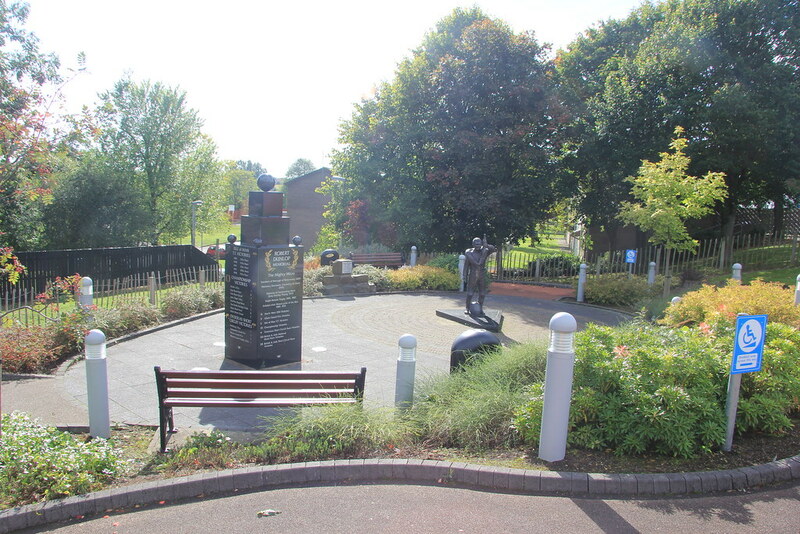 In May 2001, Ballymoney had dedicated the Joey Dunlop Memorial Garden, and after Robert’s death, a Robert Dunlop Memorial Garden was opened next to it, with a statue of a winner’s laurel garland separating them. 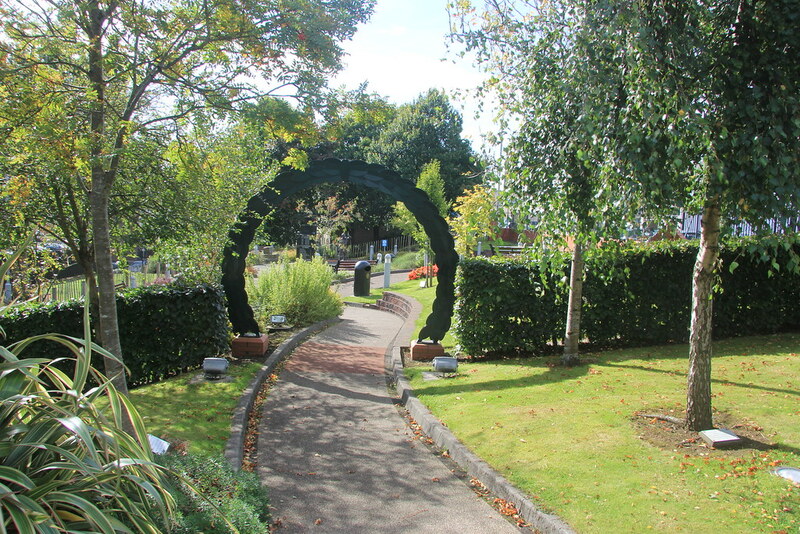 The two gardens are in the centre of the town, near the train station and easy to find. 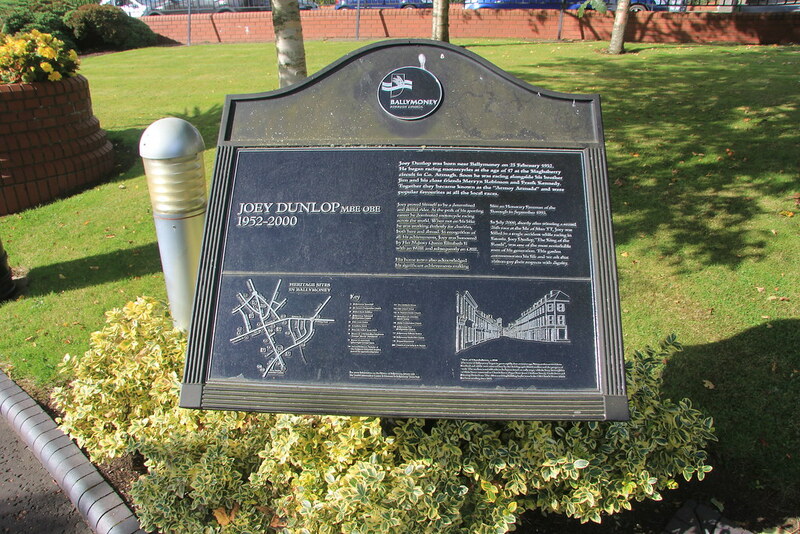 The Joey and Robert Dunlop Memorial Gardens show the impressive records of the brothers. 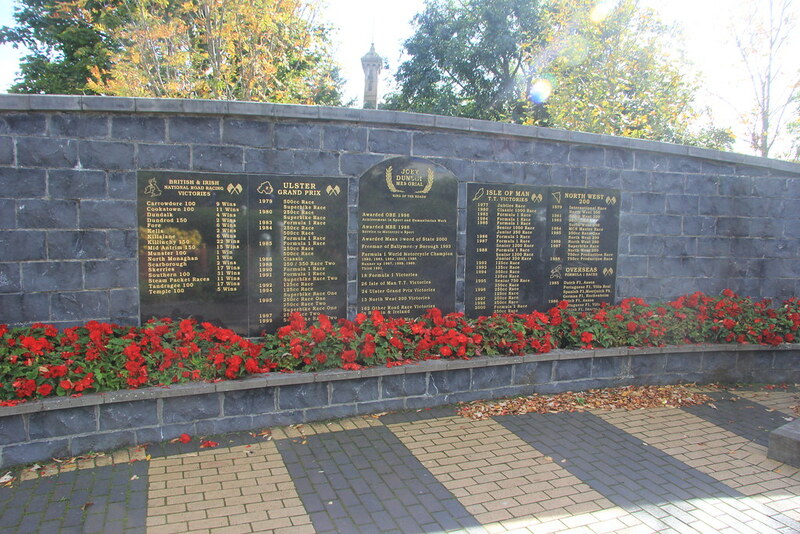 The brothers are remembered in many ways, with various statues and memorials, and trophies named in their honour. The film Road celebrates their lives and careers. Moreover, the name Dunlop lives on in road racing with Robert’s sons William and Michael continuing to race. 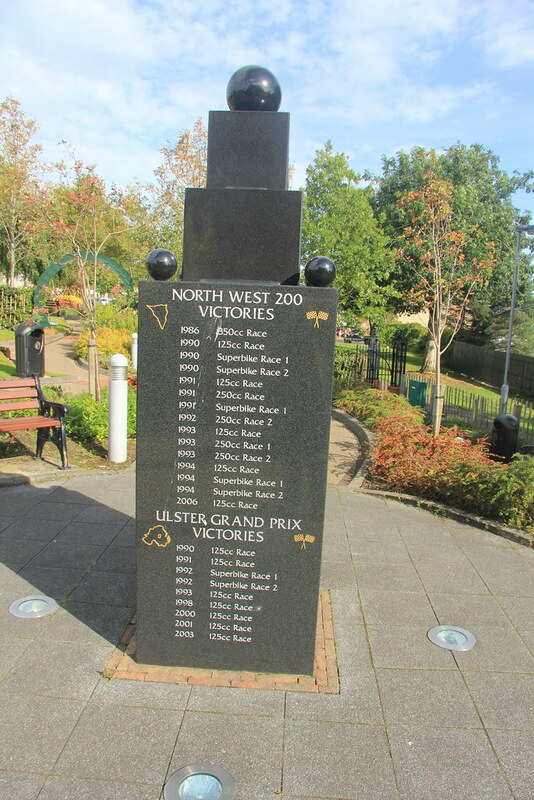 The Dunlop brothers inspired a generation of their compatriots, and there are plenty of Northern Irish riders racing in various series. When fellow county Antrim native Jonathan Rea recently won the World Superbike championship, he stopped to wear a replica helmet of Joey Dunlop. 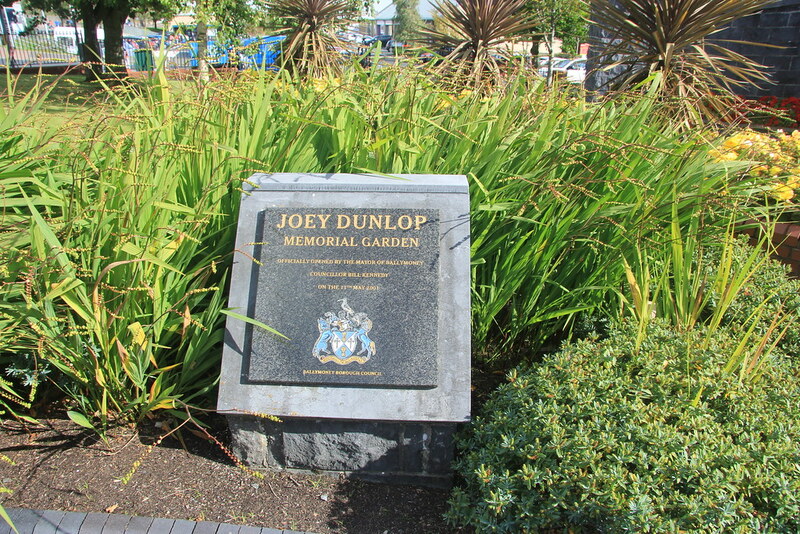 The Joey and Robert Dunlop Memorial Gardens are a lasting memorial to two heroes of the sport, and forms just a part of their legacy. 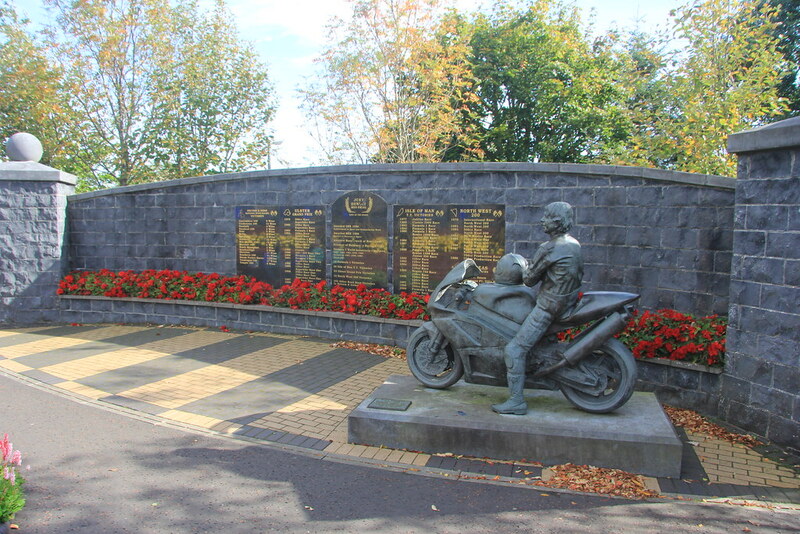 History, Motor Racing, Travel, UK Ballymoney, County Antrim, Joey Dunlop, Robert Dunlop. permalink.